The new Hardox Tube 500 series from SSAB provides the same hardness and toughness as Hardox wear plate, but in circular form. It was developed to perform in any application where high wear resistance in combination with a lighter weight is desired. 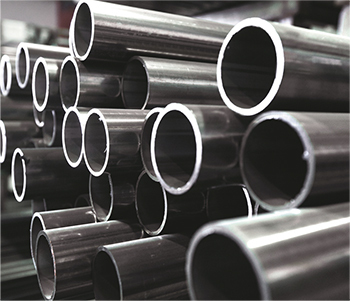 SSAB, experienced in developing wear-resistant steel tubes, sets the tube’s final properties after tube rolling and welding, which guarantees consistency as well as high hardness and toughness, according to Fredrik Mikaelsson, manager for Tubes & Sections at SSAB. Hardox Tube 500 is suitable for transporting all types of abrasive materials, including wet concrete, soil, gravel and ore slurry, and its high wear resistance allows for a lighter product with a long service life. The tube is available from stock in 88.9- to 133-mm dia. and in varying wall thicknesses. Custom tubes in thinner materials and other diameters also are available.